MANILA, Philippines- Zark E. Varona, the man behind the successful burger chain Zark’s Burgers, was once a seafarer who took a chance in leaving the ship in order to sail his way to success. An HRM graduate from the Philippine Women’s University, Zark decided to work as a seafarer for Carnival Cruise Lines at a young age. Zark, who was 21 at the time he applied, said it would be easier for him to work abroad while he’s still young and single. “Ang challenge doon syempre 21 years old lang ako at that time, yung malayo ka sa mga kaibigan mo, sa family mo… In terms of trabaho, walang problema kasi ‘yun talaga ang gusto ko from the start— cook,” Zark said. Although he enjoyed the perks in the seafaring job, Zark only stayed for two contracts, one of which lasted for nine months and the last for seven months. Fortunately, he was able to gain enough experience and save sufficient money to put up a business in the Philippines. Initially, he put up a food cart business in Tutuban which only ran for 6 months. Good thing, Zark had enough savings for a second business which he himself conceptualized. “I decided na parang pangit na yung pwesto, and then I found isang maliit na pwesto sa may La Salle Taft, 20 square meters, and then nag-decide ako bakit ‘di na lang ako mag-put up ng sarili ko? May naipon pa namang konti at that time sa pag work ko sa cruise ship,” Zark said. Apparently, Zark always had this frustration over bland burgers, which are mostly overpriced and barely fulfilling. 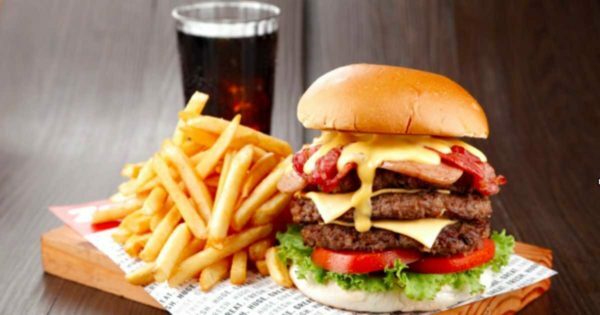 Seeing the opportunity, Zark launched Zark’s Burgers, a burger joint that offered “fresh, huge and great” burgers in a 20-square meter branch in Taft in 2009. From an 18-seater hole-in-the-walle, Zark’s first branch has been transformed into a 140-square meter restaurant. Now considered as one of the largest and fastest growing brands in the country, Zark’s Burgers has now 29 branches nationwide and intends to open four more branches this year. “Swerte lang ako kasi hindi ako inobliga ng family ko unlike karamihan ng OFW talagang obligado silang mag-support. Swerte lang kasi hindi ako inobliga. Halos lahat ng sweldo ko nase-save ko, sapat na pang-open ng maliit na store,” Zark revealed.